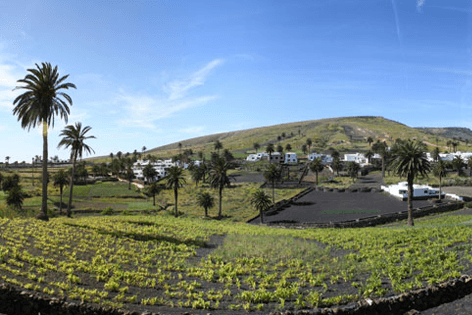 The North Tour takes you through Teguise, the old capital of Lanzarote all the way to the highest point of Peñas del Chache. 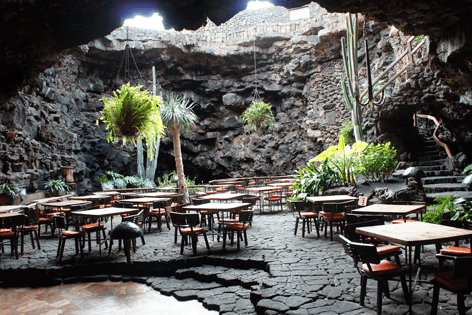 A must North Lanzarote tour. 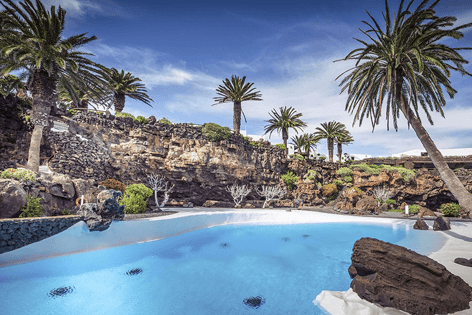 Sit and relax while you get a prompt Pick up from your hotel (all resorts) on a fully air conditioned coach with an English speaking guide, so that you are more than comfortable to start discovering Lanzarote. Head towards the North of Lanzarote, taking in the incredible sights of the landscape and sounds of the wind, the sceneries will take your breath away!!. It is geographically in the center of Lanzarote. This is the farmers monument, made by the legendary César Manrique in honor of the hardworking farmers. It is a beautiful oasis and the former residence of the famous actor Omar Sharif. It is said that the actor lost the house in a game of cards. 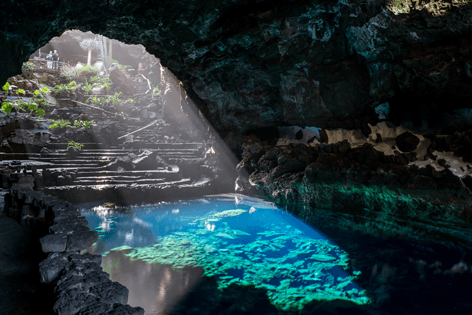 Experience one the island's most famous restaurants set in a cave and see this incredible building in the North Tour. You will see thousands of palm trees that were planted many years ago. It is said that every time a child was born they planted one palm for a girl and two for a boy. The Houses in Haria have also been built and situated in a special way and from the viewpoint you will see the houses are shaped like a star. Also view the Corona Volcano, and the picturesque villages on the northeastern coast. You cross the island, and enjoy the breathtaking view of the island of La Graciosa and other small islands. At the foot of the Corona Volcano you visit an Aloe Vera plantation. Then visit the Fundación César Manrique, where the artist’s home is built on 5 natural lava bubbles. Here you have a choice to go inside the house for 8 euros or explore the area outside. Lunch also an option en route. 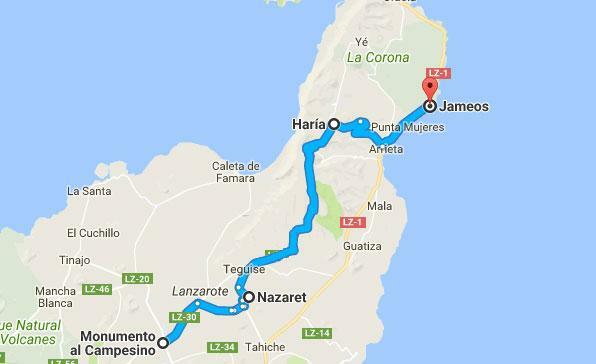 After a scenic oriented North tour of the best attractions in Lanzarote, you get dropped off back to your hotel. 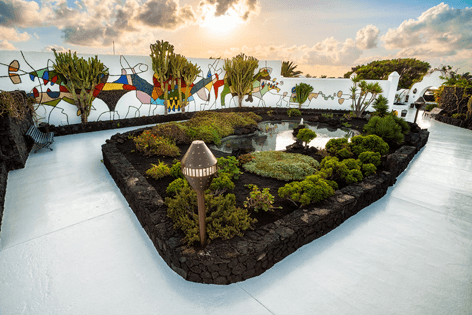 Optional visit to César Manrique Foundation, €8 entrance not included in price. Take a pull over as some times of the year it, can be windy, June - September you may not need one. Wear comfortable footwear. Take a bottle of water for the transfer on the coach, if you have booked without lunch you can usually get the hotel to prepare you something.